10in x 12in .025 metal sign with rounded courners and 1/8 in mounting holes. 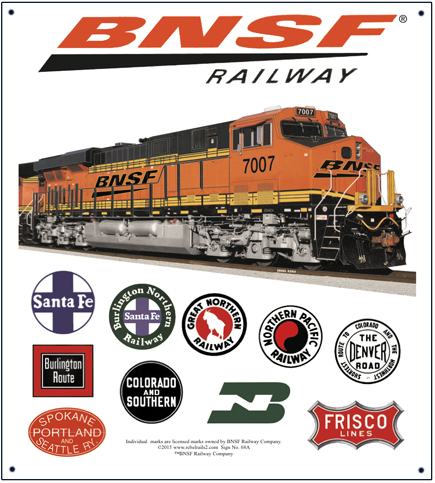 BNSF Heritage tin sign featuring BNSF diesel and historic logos of predecessor railroads. Individual marks are licensed marks owned by BNSF Railway Company. Click on above image for zoom.